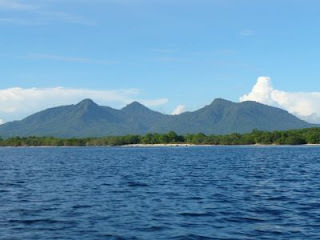 Bali Barat National Park is located at the west end of Bali Island, one of 17,000 islands that constitute the world’s largest archipelago country, Indonesia. The park covers more than 19,000 ha of mountain, plain land, beach, and the surface of the sea. It has precious eco-systems with more than 460 species of flora and fauna. Among them, the Jalak Bali (Bali Mynah) is an endemic species in Bali, but the number of the bird decreases because of the destruction of natural resources in the habitat. In fact, not only for the Jalak Bali, but in general, the illegal logging and hunting activities mostly by the surrounding communities are one of the major issues for the National Park to tackle for conserving natural resources of the area. There are six villages adjacent to the park territory with more than 30,000 residents. The livelihood of those villagers depends mostly on agriculture, forestry, fishery, and tourism. A lot of villagers enter the forest surrounding them to bring firewood for their daily life and also to take wild grasses for their livestock. In most of the villages, water supply is also depends on the forest located at the back side of the villages. In short, for the villagers, the forests surrounding them are a part of their life that provides necessary things for them to survive and to earn income. 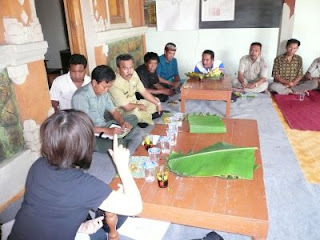 Therefore, perspective of the National Park and the local communities towards the forest differ. Primary concern of the villagers is how they can maintain and improve their life, whereas the primary objective of the National Park is to conserve the bio-diversity of the protected forest. Thus, if the National Park want to encourage the community people to stop illegal logging or hunting, it is necessary that the both parties realize the real situation each others. It is also necessary to facilitate empowerment of the surrounding communities in order that they will be able to improve their economic situation without destructing natural resources surrounding them. Being concerned with the above situation, the Bali Barat National Park has been aware of the importance of facilitating empowerment of the local communities. And for that purpose, it is necessary to build up the capacity of the related Park officials and field staff regarding community facilitation and empowerment. It is the above mentioned background that a Japanese NGO, i-i-network, started collaborating with the National Park. The project is titled “Creation of co-existent and collaborative relationship between the local communities and Bali Barat National Park for conservation and management of natural resources and empowerment”, and the duration is three years starting from June 2008. “i-i-network” is a Japanese NGO that has experience of capacity building for community facilitators, and it has partners in Indonesia who have enough skills and experience on community facilitation. The NGO sends experts both from Japan and from the other areas of Indonesia to the National Park to provide training and advices to the Park field staff in order that those staff will be able to facilitate community empowerment in the surrounding areas. The project is supported by JICA through its scheme of “Grass Roots Partnership Technical Cooperation”. At first, i-i-network held a workshop with the project team consisting of the Park field staff. In the workshop, the team members shared their experiences with the local community people, and confirmed that it is very important to have good relationship with the community if they want to ask the communities to collaborate with the Park. 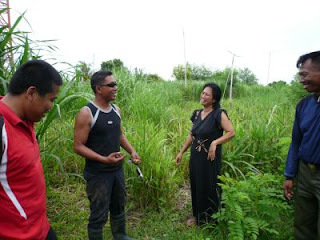 Then, the project team went outside to visit local communities surrounding the Park, and found out there are various potential resources in the villages that can be utilized for the development activities. After that, a series of training workshops was conducted among the team members with the facilitators and resource persons from i-i-network. The major topics of the workshops were, “partnership building with the community people”, “Observation and hypothesis making”, “interview to the community people”, “issue analysis”, and “how to share the findings with the community people”. At the beginning, the Park staff was not aware of importance and skills of facilitation as they did not have experience to be facilitators in community development. The only activities they had implemented in the surrounding villages were to distribute saplings or livestock to the villagers without considering any initiatives of the villagers themselves. Now, the Project team members realized how important it is to build partnership with the villagers, so when they visit the communities, they do not wear uniform of the National Park, and try to become friends who exchange views and opinions in equal position with the community members. The team members also understood how to make hypothesis on the issue of the communities through fact finding by observation and interview. They visited the village many times, observed the condition of natural resources including the forest surrounding the village, and conducted dialogue with the villagers. Some of the team members strongly feel that it is extremely important to know the real situation of the village and make hypothesis before starting any activities there. The project team of the National Park has finally reached out several hypotheses on the issues of one village adjacent to the Park. One of the findings is that the community people may face decrease of soil fertility and drinking water supply due to the destruction of forest located in the mountain at the back of the village. The villagers enter the forest to cultivate crops as a program of agro-forestry program, but they cut down the trees and it is obvious that the forest is not properly managed. 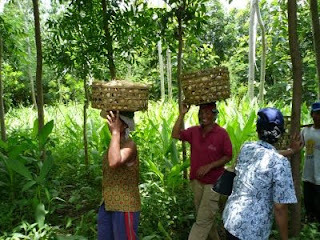 As livelihood of the villagers depends much on the forest, it is vital for them to protect it whereas they utilize it. Now, the next step for the Project team is to share those finding with the villagers. It is necessary for the team members to make the villagers understand the issue hypothesis easily, so the team should use simple and understandable words and expressions. After sharing the issue, it is expected that the villagers themselves will take initiatives to tackle the issue with the help of outsiders including the National Park. If the Project team members are able to facilitate the process, it can be said that the capacity of those field staff is enough increased to become real community facilitators.